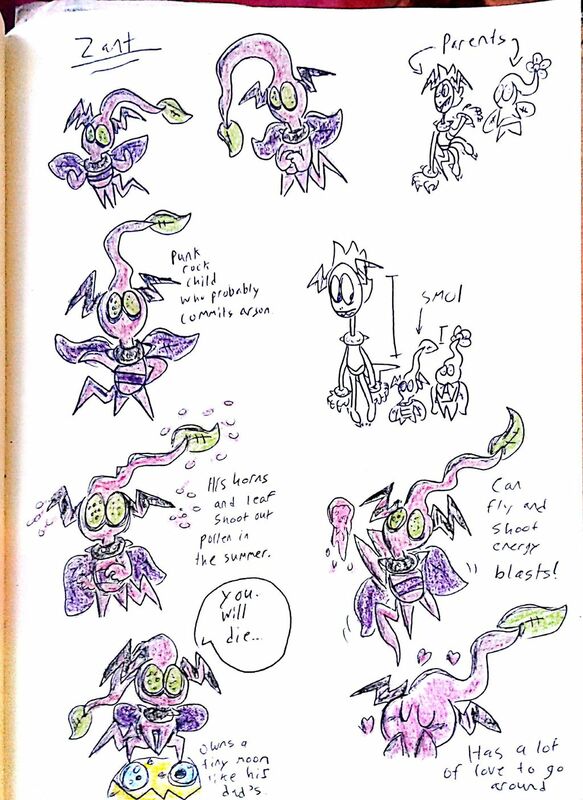 The child of Zazz from Sonic Lost world and a Pikmin. Zant is a very tiny plant-like creature who contains the power of flight and energy regulation. Zant has fun rolling around on his mini moon and listening to punk rock. Zant is aggressive and violent in nature, but is also very loving. He is polygamous.